Black Tea vs. Green Tea: What's The Difference? Tea is the most popular beverage in the world, after water. The Chinese have been drinking tea for thousands of years and have always believed that drinking tea is good for one’s health. Today, people from all over the globe agree and enjoy their daily cup of black tea, green tea, or any other kind. Before we come to the perennial debate of black tea vs. green tea, let’s understand what the major difference between the two is. Traditional teas, including black tea and green tea, come from the same plant, Camellia sinensis. The main difference between the two is that black tea is fermented, while green tea is not. After first rolling the leaves, black tea makers expose them to air to begin the fermentation process. As a result, the leaves turn dark brown and the flavors intensify. In the case of green tea, the leaves are steamed or pan-fried to prevent fermentation, which leaves green tea much lighter in color than black tea. You must also keep in mind that many of the natural benefits of tea are either diminished or inactivated during the fermentation process. Which tea has more caffeine? Both black tea and green tea contain caffeine, but green tea generally has less of it. Caffeine content may vary, however, due to the variety of the tea plant, processing method, and brewing method. The caffeine content in black tea is 14 to 61 mg per cup, while in green tea, it is 24 to 40 mg per cup. Drinking moderate amounts of tea (five cups daily) can temporarily increase your productivity and mental alertness, but drinking tea in excess might keep you awake deep into the night. Many experts recommend that you choose green tea over black tea as it contains less caffeine. There are several black tea and green tea benefits for their drinkers, but both have several disadvantages as well. Those who drink green tea may have as much as a 31% lower risk of suffering from cardiovascular diseases. It prevents blood clotting and eases blood flow through the arteries, which can help stave off heart attacks. Green tea also contains tannins that help in reducing LDL cholesterol, also known as “bad” cholesterol, and better the ratio of good cholesterol to bad cholesterol in your body. Drinking green tea regularly can also boost your memory and overall functioning of the brain. Catechin compounds in green tea are thought to lower the risk of developing diseases such as Parkinson’s and Alzheimer’s in old age. The drink also contains a natural chemical called theanine, which has a calming effect on the mind. People with diabetes may benefit from drinking green tea regularly because it contains antioxidants that slow down the absorption of glucose in the bloodstream. According to recent studies, the catechins in green tea could limit the quantity of glucose that passes through the intestine into the bloodstream. So, some diabetic patients have tea with their meals to help prevent spikes in blood glucose levels. Still, it’s important to discuss any natural remedy with your doctor first. Some research suggests that fat burning, or oxidation, can increase by 17% by drinking four to five cups of green tea in a day, potentially helping in weight loss. The tea provides feelings of fullness and suppresses the primary enzymes involved in fat storage. It is especially helpful for people with big tummies as it melts the fat in the abdominal area. The EGCG (epigallocatechin gallate) in green tea stimulates your metabolism, thereby increasing the rate at which your body converts food into energy. Green tea contains antioxidants called flavonoids, which can fight the accumulation of harmful free radicals in your body.This may help save you from developing several diseases and delay aging as well. You can either apply green tea to the skin or drink it. The catechins in the tea can also make the skin more resistant to UV rays and prevent sunburn. Drinking green tea in excess can increase the amount of calcium being flushed out in the urine. It reduces calcium absorption in the bones, and this deficiency of calcium may bring on osteoporosis. Don’t drink green tea on an empty stomach if you suffer from a peptic ulcer or acid reflux, because it contains tannins that increase stomach acid and often cause stomachaches and constipation. Green tea contains caffeine, so consuming too much of it can lead to ailments like heart palpitations, convulsions, insomnia, loss of appetite, restlessness, nervousness, and irritation. Kidney stones are made of calcium mixed with phosphate or oxalic acid. Green tea is rich in oxalic acid, which may lead to kidney damage. Green tea extract supplements have been known to cause liver damage as well. Women who are trying to conceive, are pregnant, or are nursing should avoid green tea completely, or just have up to two cups a day. Green tea contains EGCG, which may interfere with fetal development and even create post-natal complications like low birth weight or premature delivery. Green tea interacts with certain medications and can lead to problems, so it is always better to consult your doctor before consuming it along with your medicines. Black tea contains special polyphenols called theaflavins. These powerful antioxidants are the product of fermentation and are responsible for many of the tea’s benefits, including improving endolethial function. This relates to the important inner lining of blood vessels. Dizziness can be the result of excessively low blood pressure. Drinking black tea can temporarily increase your blood pressure, so some people use it as a solution for preventing the condition. However, those who already suffer from high blood pressure should avoid drinking black tea. Some people drink black tea when they have a headache because caffeine can be an effective pain reliever. However, caffeine itself can cause headaches, so the jury is still out on this one. Since black tea contains caffeine, drinking it can stimulate brain function. Tea drinkers may feel more mentally alert with increased and sharpened thinking skills. If you drink plain black tea without any sweeteners or additives, it serves as a great diet-friendly drink because it has a very low number of calories and fat. It has caffeine, which can stimulate your metabolism, so some people feel that it helps in weight loss. Black tea acts as a diuretic, promoting an increased production of urine and helping your kidneys remove salt and water from the body. This may also prevent the formation of kidney stones. Black tea is also used to treat stomach disorders and related symptoms such as diarrhea and vomiting. If you are already suffering from ailments such as iron-deficiency syndrome, heart problems, anxiety disorders, bleeding disorders, glaucoma, high blood pressure, and irritable bowel syndrome, black tea can worsen your medical condition. Black tea can also be dangerous for people who suffer from hormone-sensitive conditions like endometriosis or breast cancer, as it shows estrogen-like activity. It’s also been shown to influence blood sugar levels, which could further complicate your diabetes treatment. As with green tea, the caffeine present in black tea may cause several unwanted side effects like nervousness, sleep problems, heartburn, diarrhea, vomiting, convulsions, and tremors in some people when consumed. The caffeine in black tea can also be addictive; a psychological dependence may be very difficult to overcome both mentally and physically. Drinking too much black tea can inhibit your body’s absorption of nutrients like calcium, and in turn inhibit your body’s use of vitamin D. This may increase your likelihood of developing brittle bones and osteoporosis. The caffeine component in black tea can negatively interact with your medications in different ways. In the case of antibiotics, they may block your body’s ability to break down the ingested caffeine. If you are taking stimulants, it may further overstimulate your system, which can lead to heart problems. In the case of other medications, the caffeine can change the way your body processes the medicine itself, thereby reducing the efficacy and safety of the medication. Heat the water in a tea kettle to a rolling boil. Place one rounded teaspoon of tea leaves in the teapot or cup. Pour the water over the tea leaves. Cover the teapot or cup with a tea cozy or a thick towel to retain heat. Steep the tea. You may wish to taste the tea at three minutes and then every 30 seconds until it is to your liking. Stop the infusion. Lift out the infuser to remove the leaves or pour the tea through a strainer as soon as the tea is ready. Add milk or sweetener (optional). If using milk, heat it gradually by adding the milk to the cup first, then pouring in the tea. Place the water in a tea kettle and heat it to about 170 degrees F.
Place one teaspoon of tea leaves in the teapot or cup. Pour the water over the tea leaves. Place the lid on the teapot, or if using a cup, cover it with a lid or a small saucer. Steep the tea for one to three minutes. Small leaves generally infuse more quickly than large leaves. Set a timer for one minute. Try sampling the tea at one minute and then every 30 seconds until it is to your liking. Lift out the infuser to remove the leaves or pour the tea through a strainer as soon as the tea is ready. Sri Lankan black teas like Ceylon black tea will vary by region of origin. Generally speaking, Ceylon black tea offers a robust, spicy flavor with subtle notes of chocolate. Indian black tea flavors have been described as both fruity and malty. For example, Darjeeling black tea has delicate, floral-fruity flavors, while Assam black teas are strong and sharp, with a chocolate-like, malty flavor. Floral-accented Nilgiri black tea is slightly more fragrant than the Darjeeling types. Chinese black teas also have a wide range of flavors. Yunnan black tea is similar to the Assam teas of India, with its spicy, chocolate and malty flavors. The Keemun black teas grown in the Anhui province have the fruity flavor profile of wine, but also contain tobacco and pine accents. The manufacture and drinking of tea are treated as art forms in Asian countries. You’ll find that factors such as the production process, the region where the tea plant is grown, and/ or the amount of rainfall the plants receive will affect the flavor and taste of green teas. In general, there are two main types of green tea—Chinese green tea and Japanese green tea. China is the largest producer of green tea with tea gardens that stretch from its coast to the mountains. The tea makers hand-harvest only the youngest leaves and buds to prepare green tea. The most popular type of Chinese green tea is Long Jing, also known as Dragonwell. Long Jing green teas are at the higher end of the quality and price scale. When brewed, Long Jing green teas are a jade color and feature a nutty and vegetal flavor with a smooth finish. Another favorite green tea is gunpowder green tea. Tea artisans gently shape the green tea leaves into small pellets that look like gunpowder grains. It is one of the few Chinese green teas that is steamed, not pan-fried. The leaf pellets expand when steeped in boiling water, resulting in an infusion of bold, slightly minty flavors. In Japan, producers prefer to steam-dry the tea leaves rather than pan-fry them. Green tea leaves are grown in the shade in Japan to help preserve chlorophyll that gives these teas a vibrant green color. Japanese green teas contain high concentrations of amino acids that lend an umami flavor to the teas. The most popular types of Japanese green tea are matcha green tea and Gyokuro. Matcha is a green tea powder that contains the entire leaves of the tea plant. This tea gives several health benefits since it contains all the antioxidants and chemical compounds found in green tea leaves. Gyokuro is the most exported green tea from Japan and features an emerald green color. This tea offers a rich and satiny feel with savory and sweet flavors. Which Tea Should You Drink, Black Tea or Green Tea? As we’ve noted above, both black tea and green tea offer several health benefits to drinkers. Which tea to drink depends on your unique tastes and preferences. You can experiment with black and green teas sourced from different regions to discover the nuances of each flavor. Learning the history behind the different tea varieties can also make the tea drinking experience more fulfilling. There are small differences in artisanal processes and growth techniques, which can help you appreciate the different flavors in your tea. It’s really up to you to choose and drink the tea of your liking. When it comes to your health, green tea is believed to have the higher antioxidant content, though both teas offer beneficial polyphenols that can improve blood vessel function. If caffeine is a problem for you, green tea typically has lower amounts of the stimulant and may be the better choice. However, both teas contain tannins, which could interfere with your body’s ability to absorb essential nutrients. The leaves of the Camellia sinensis plant are used to produce many types of tea, including the two most popular ones: black tea and green tea. The main difference between the two is that black tea is fermented and green tea is not. Some people may prefer green tea to black tea as many of the natural benefits of black tea get lost or damaged during the fermentation process. Both black tea and green tea have several advantages and disadvantages when it comes to drinking them. Black tea has been found to increase mental alertness, decrease the pain in headaches, help in digestion, prevent dizziness, and aid in weight loss. However, it may also cause unwanted side effects, interfere in the functioning of your medication, lead to an addiction, worsen existing ailments, and decrease the absorption of certain nutrients like calcium. Scientific and anecdotal evidence suggests drinking green tea improves cardiovascular health, reduces the chances of suffering from Parkinson’s and Alzheimer’s, reduces the amount of glucose in the bloodstream, helps in weight loss, and protects your skin from UV rays and sunburn. On the other hand, it’s been known to cause ailments like insomnia and convulsions, calcium deficiency, complications in pregnant women like the premature delivery and even death of the fetus or infant, stomachaches and constipation, damage to kidneys and the liver, and problems in the functioning of some medications. As for which tea to drink, black tea or green tea, there are no hard-and-fast rules. You can choose either one and even mix the different varieties of tea available so that you can come up with the concoction that’s just perfect for you. Just be mindful of your health status and any pre-existing conditions when you select your tea. There are many types of teas out there just waiting for you to sip and enjoy them! O’ Brien, S., “Green Tea vs Black Tea: Which One Is Healthier?” Healthline, August 3, 2018; https://www.healthline.com/nutrition/green-tea-vs-black-tea, last accessed November 27, 2018.
https://www.thespruceeats.com/black-tea-or-green-tea-which-is-healthier-4058865, last accessed November 27, 2018.
https://www.thekitchn.com/whats-the-difference-between-black-and-green-tea-tea-essentials-200614, last accessed November 27, 2018.
https://www.livestrong.com/article/416351-what-are-the-benefits-of-green-tea-vs-black-tea/, last accessed November 27, 2018.
https://www.befitandfine.com/advantages-disadvantages-green-tea/, last accessed November 27, 2018. 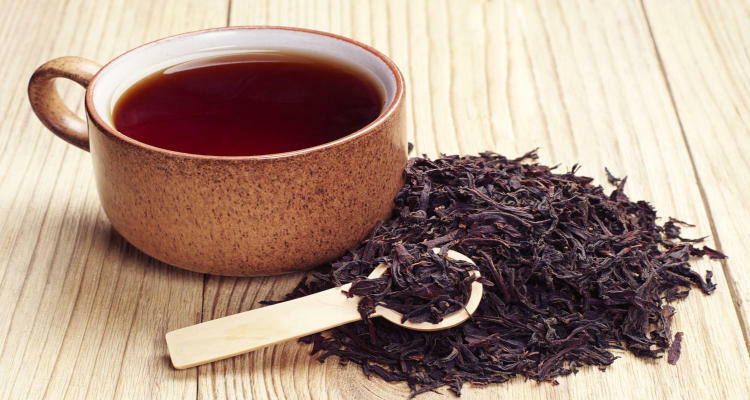 Lafond, A., “Pros & Cons Of Drinking Black Tea, One By One,” HEALTH DIGESTS, November 30, 2014; https://www.healthdigests.com/benefits-of-black-tea/, last accessed November 27, 2018.
https://www.thekitchn.com/how-to-brew-black-tea-cooking-lessons-from-the-kitchn-201670, last accessed November 27, 2018.
https://www.thekitchn.com/how-to-brew-green-tea-cooking-lessons-from-the-kitchn-203091, last accessed November 27, 2018.
https://www.cupandleaf.com/blog/green-tea-vs-black-tea,last accessed November 27, 2018.